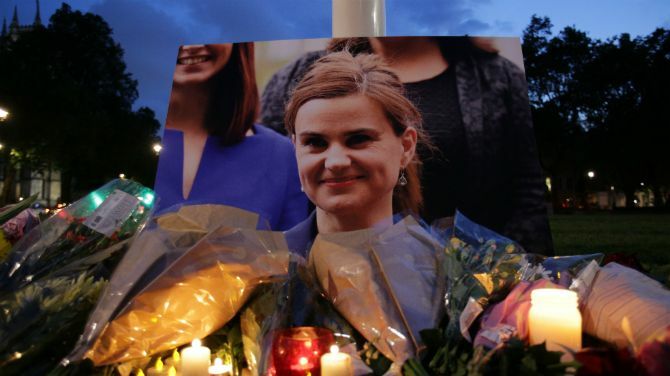 The murder of UK MP Jo Cox was a shock to the staff and friends of the Euro-Mediterranean Human Rights Monitor, as well as to refugees, on whom both Cox and the Euro-Med Monitor have focused their work. Cox was a strong defender of the rights of refugees. Her death is saddening, but her advocacy and dedication should be inspiring to all of us. Based on our faith in her work, we are developing this donation fund to carry forward Cox's legacy by advancing our work of advocating the rights of refugees in Europe. With our experience in reporting on and launching investigations into the life situations of and violations of the rights of refugees, we can keep the work of Cox going.